For a male runner, running tights may not be as important as their running shoes. Serious runners will tell you that they always stack-up a pair or two of these in their wardrobe. Running tights are from different materials and are available in different types and lengths. Most runners prefer them for running sessions while others use them during training sessions. Beyond looking sleek, running tights also offer other benefits for male runners. They are a wardrobe essential for any serious runner. There are numerous men’s running tights available in the market, which makes it difficult to know the best. If you are in a dilemma wondering which one to buy, this guide will make things easier by providing ten of the best running tights for men. These men’s running tights are made from 87% polyester and 13% spandex material. They are light-weight and have sweat-absorbing ability to keep you as dry as possible while you run. Additionally, these tights are designed to fight off odors and to regulate airflow and circulation. This makes the tights breathable. Moreover, they are also budget friendly. These men’s running tights are made from smooth and ultra-soft material to keep you comfortable while you run. The material allows these tights to have excellent elasticity and is designed to be worn in all seasons. Its ability to absorb sweat ensures that you are cool and dry during your runs. Furthermore, the non-abrasive material ensures that there is no chafing or uncomfortable rubbing on your body. These men’s running tights are from a blend of nylon and spandex and have sweat absorbing abilities. The material is comfortable and has the right amount of thickness to retain warmth even during cold weather. Moreover, the material is also breathable which helps to keep you cool when the temperature goes up. These men running tights are made of a thick high-quality material that is breathable, comfortable, and easy to move around in. For all seasons, these tights are also durable. 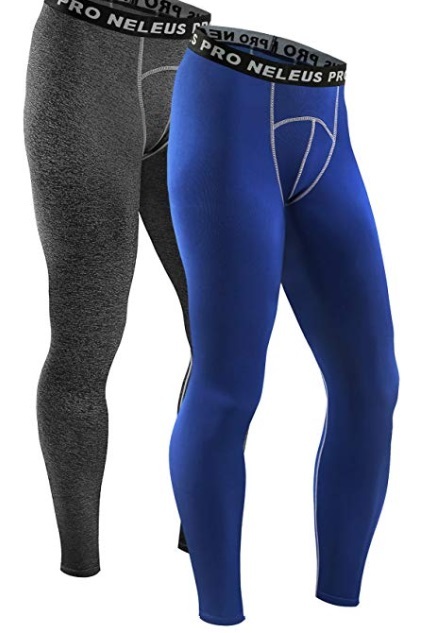 Moreover, the tights have a unique targeted support system to provide different amounts of compression on certain body areas for maximum muscle stability and protection. These men’s running tights have ergonomic seams to prevent uncomfortable rubbing and chaffing. The mesh panels on the front and the inseams provide comfort while running. Moreover, these tights also have moisture absorbing ability due to the Dri-Fit fabric. These men’s running tights are made from a breathable material that also regulates body temperature by absorbing moisture and drying up quickly. The pair of tights has an ultra-tight fit that fits comfortably. Furthermore, the four-way stretch allows you to move in every direction. These tights also come in different colors and they have an anti-odor technology that keeps you safe from bacteria. These men’s tights are made from a moisture absorbing material to keep your skin cool and dry as you run. 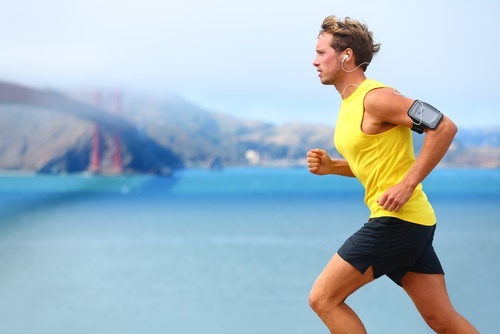 They have a mid-weight function that improves oxygen supply and blood flow to your muscles. Additionally, the underwear comes with flat-lock seams that protect against chaffing. Furthermore, they are available in a wide variety of colors and there are the Sub Sports COLD Men’s compression pants for the cold season. 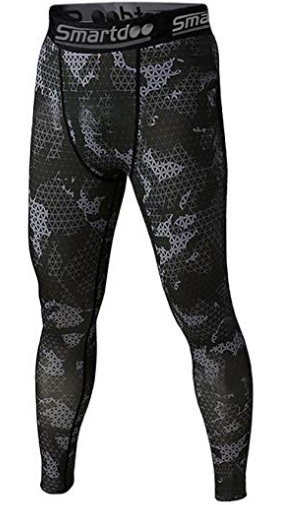 These men’s running tights are from a blend of spandex and polyester. This stretchy material is also very breathable. Furthermore, they have reflective elements for improved visibility. As their name suggests they are thermal. Thus they are the best if you want to run on cold days. They are also elegant and come with leg zippers. Moreover, they are quite affordable. 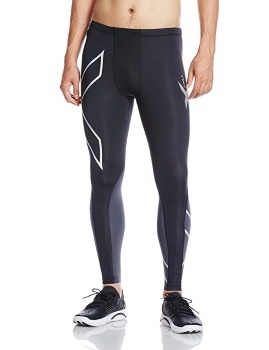 These men’s running tights are made from a blend of polyester and spandex material. The tights are very stretchable and comfortable on the skin. Furthermore, they dry extremely fast as the material is light-weight. They are also manufactured so they do not lead to chaffing or uncomfortable rubbing. Moreover, the underwear provides a lot of warmth even while running in cold weather. These men’s running tights have ample ventilation and are quick drying. The material, which is made from a blend of polyester and spandex, is very comfortable and stretchable to allow mobility. They also have UV blocking properties. Moreover, the tights are also warm in winter and cool in summer. If you are not happy with these tights, you can get a full refund after purchase. Running tights can offer unique advantages during a run. 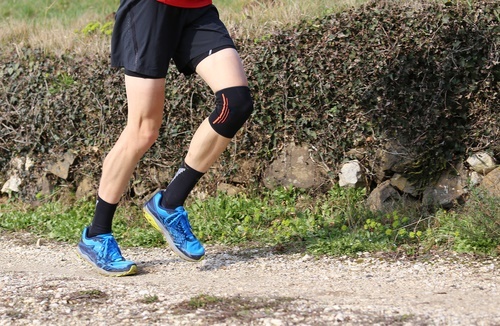 Male runners often wear them for their performance and protection. If you are a novice runner, understanding the benefits of running tights may convince you to get a pair for your wardrobe. Warmth during cold weather – One advantage of wearing a pair of running tights is that they provide warmth during cold weather. The materials used in most running tights keep the cold air out. These materials also have sweat-absorbing abilities to keep you dry and warm during the runs. Comfort – The slim fit that is a core characteristic of running tights provides comfort ensuring that the tights do not fly up as you run. The tightness further eliminates friction that might be caused by baggy clothes on your skin. Most of them have flatlock seaming which eliminates chaffing and uncomfortable rubbing. 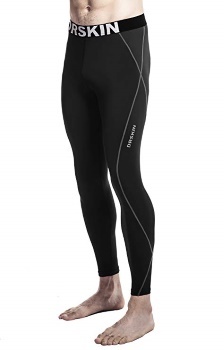 Compression tights – Some tights double up as compression gears. Compression tights fit like a second skin on your body and offer improved recovery. 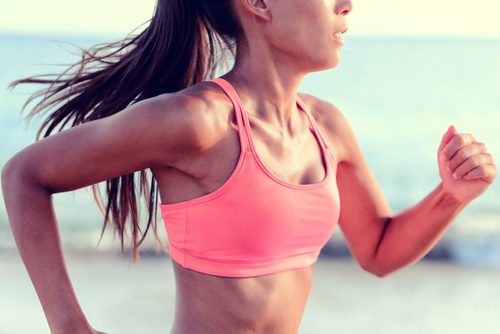 They also increase the efficiency of the muscles during runs. Some compressing tights have muscular support different muscles in specific areas. Offers protection – Running tights also protect your skin from rough elements such as the hot sun or the wind. Some are made from materials that illuminate in low-lit atmosphere thereby allowing others to see you at night and that in turn protects you from danger. Furthermore, pair of tights also helps reduce wind resistance so that your clothes don’t affect your running stride. If you are a focused runner, you probably know that every little thing that can improve your performance matters. Therefore, it won’t hurt to try running in a pair of tights during one of your running sessions. However, to get the best results you need a good pair. Here are a few things to remember when you go to buy your pair of tights. Good fit – While making a purchase, ensure that your pair of tights are neither too tight nor too loose. If it is extremely tight, it will hinder blood circulation in your lower body while a loose pair is likely to be uncomfortable. 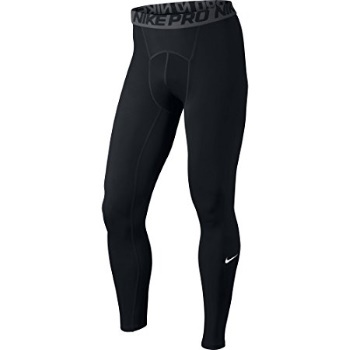 A well-fitting pair of running tights is comfortable and will offer you ample protection. Full cover – Figure out whether you want a pair of full-length tights or ones that are just above your knee. During the warm weather, tights that are just above the knee are ideal. However, if you are running in cold weather it is best that you get one that covers you fully. Material– This is another important factor to consider and you must check whether the material is too thin or too thick. A very thick material might offer protection from the cold but it might have little room for ventilation. A pair of tights that is too thin might show your underwear as you run. It is good that you get the right material that offers you comfort and proper sweat absorption. Pockets or No Pockets– Many male runners will want a pair of tights with at least one pocket where they can keep their keys or their phone. Most running tights might not have any pockets but some do have small zipper pockets that you can keep all your important stuff in. Comfort and Aesthetics – You might find that some materials cling to the body when you sweat. If you know such a material will make you uncomfortable during a run, do not buy it. The look and style of the tights are also very important, but what is most vital is choosing a pair that has a texture that feels right for you. Buy a color that pleases your eyes and suits your appearance. How Much Do They Cost – We recommend that you choose running tights that are of high-quality. Sometimes the best running tights might be pricey, but consider that to be an investment. If you buy running tights that are too cheap, you might be forced to replace them after a few weeks. A good pair of tights will last longer and will offer you good value for your money. Compression Or No Compression – Most male runners prefer compression tights because of the benefits they offer. These tights give compression, which means you might not need to buy calf or knee sleeves. Furthermore, compression tights also boost circulation, consequently allowing you to run better. They also protect the muscles and lower any pain as you run. They are also very effective in aiding recovery. As you can see, compression tights are great but you need to make a choice before you hit the store. Taking good care of your running tights will allow you to get the most out of this extremely essential running gear. Proper care will ensure that the tights last longer and offer you the right service. Always read the instructions to see the proper way of washing and taking care of your tights. Follow the instructions carefully. We also recommend that you buy a pair of running tights that are made from the durable and high-quality material. Always wear the right size since tights that are too tight will eventually wear-down due to overstretching. 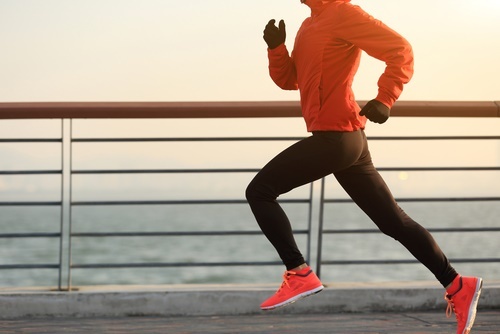 Furthermore, hand-wash your running tights to reduce the damage that may occur from machine wash. After a run, either wash or hang your pair of tights to dry out the sweat. Do not stuff it in your bag or in the car. Excess moisture can wear them down or even cause the pair of tights to lose their elasticity. Have more than one pair of tights if you are an avid runner. This way you can always air-dry your tights rather than using a dryer as you prepare for your next run. Additionally, store your pair of tights in a safe and clean place such as a clean plastic bag and to keep them dry to avoid damage. Whether you have taken up running as a hobby or you are a pro, you will agree that a pair of running tights is a must-have item for any runner. The right pair of tights will keep you comfortable and let you reach the finish line successfully. Therefore, next time you are shopping for a pair of running tights, consider one from our list above.